C1520. CHARLES MUNCH Cond. Boston S.O. 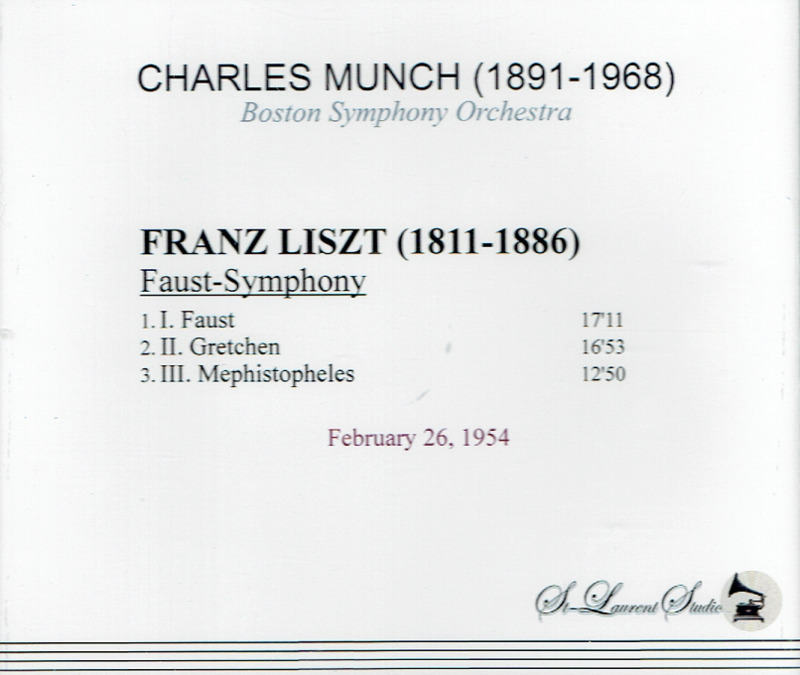 : A Faust Symphony (Liszt). (Canada) St Laurent Studio YSL T-430, Live Performance, 26 Feb., 1954, Symphony Hall, Boston. 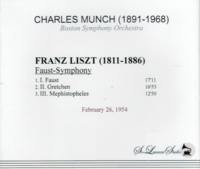 ["an endlessly fascinating score - Liszt's greatest orchestral work." - Gramophone] Transfers by Yves St Laurent.